I would suggest that boxes, tubes and tins are as traditional a method of packaging Potato Chips and Crisps as bags. The key for all manufacturers was and still is, maintaining the freshness of their products. Cellophane was first produced in 1912, by Jacques E. Brandenberger who then sold the rights to DuPont. Their first manufacturing plant was opened in 1924 in New York. DuPont then developed a lacquer, using nitrocellulose that reduced the water vapour permeability of the Cellophane in 1927. This opened the door to a significantly new and untapped market – food packaging. And of course, the afore-mentioned work of Laura Scudder and her Fresheen bags etc. Aluminium foil packaging was invented in the early 1950s and cellulose packaging was quick to follow. In 1958, heat shrinkable plastic films were invented, which revolutionised the way food freshness was maintained. 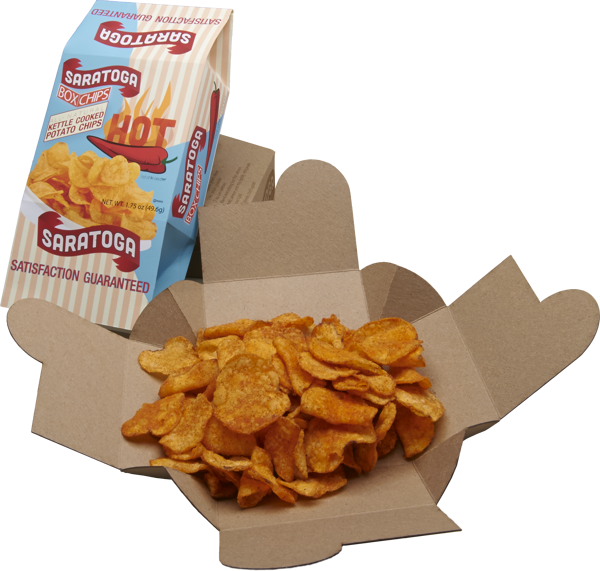 As we have examples of Potato Chips in boxes, covered in cellophane to maintain freshness from over 5o years ago, it is highly likely that many other manufacturers would have utilised the same marketing sensibilities. However, as maintaining the freshness of the product is now accepted practice, as with any product marketing development, unique presentation techniques are able to take centre stage. 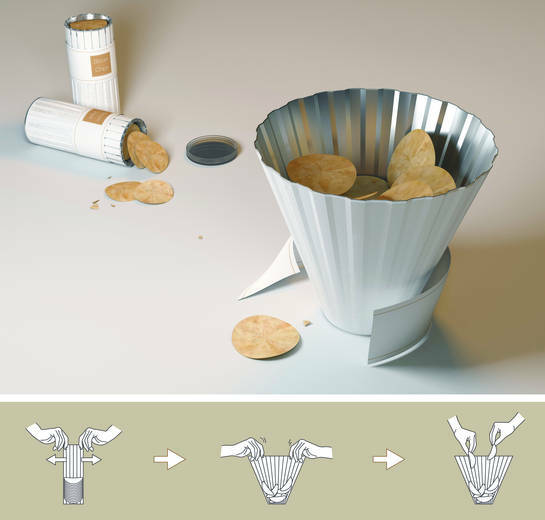 This is just one example of a product designer that has used Potato Chips for a way of exhibiting his talents. It is perhaps inevitable that this is fairly standard practice among food packaging specialists. 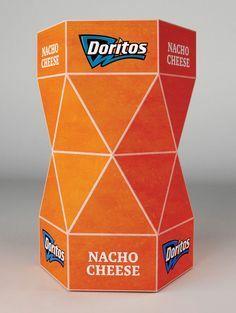 ​Here is another design concept for Doritos. 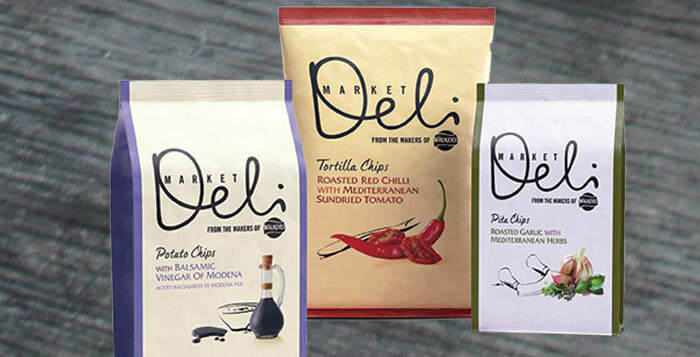 ​Potato Chips and Crisps packaging design is not just a hobby, as this 2011 design concept proved after it won a Red Dot award in 2011. ​Trends and style change over time, and even well established companies try new packaging designs; as this recent example from Walkers would attest.